Cities and towns across the globe are increasingly aware of the need to cut energy usage. And one of the biggest consumers of power in any urban area is the street light system. Better management of street lighting can make a huge difference to overall energy consumption, delivering a significantly reduced carbon footprint. In recent years, the focus has predominantly been on switching to energy-efficient LED lighting. Now urban authorities are looking to take things to the next level by installing intelligent lighting systems to achieve further energy and cost savings. Also, cities are exploring to use the street lights as part of a larger City network, sharing the infrastructure, enabling communication to other devices such as parking meters, electricity meters and environmental sensors. Our cost-optimised and standards-based smart lighting systems are the solutions. Using advanced Narrowband RF mesh technology, they remotely monitor and control street lighting to save energy, as well as help cut running and maintenance costs. Each lamp or lamp control cabinet is fitted with an RF module, which connects to a Data Concentrator Unit or Gateway for bi-directional communication via our Lighting Server or your application of choice. Each network can contain up to 250 lamps or cabinets, which are managed individually or in groups. Energy consumption, current and voltage are all carefully monitored in real time. Dimming rules for certain times of day can be entered into the system and applied automatically to each network. 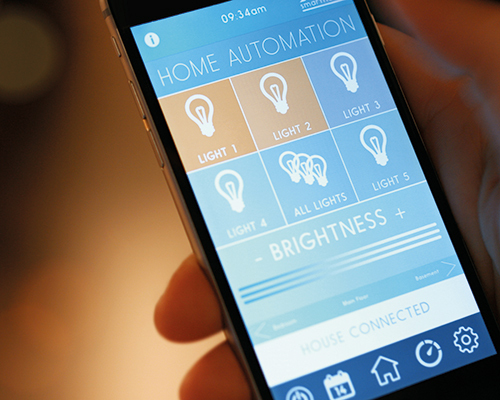 In addition, the system quickly identifies potential problems, for example failing bulbs. This enables preventative maintenance to be carried out, reducing the risk of costly emergency response. Our smart lighting solutions provide reliable coverage and range, even over variable terrain. They are compatible with all leading vendor lighting products and adaptable to new lighting technology so they can be easily fitted to existing lamp designs or seamlessly built in to new installations.